A closer look at the dredge and its pond in before work was begun. The repainted Dredge in spring, 2015. The dredge as it appeared in 2007, prior to work starting. The entire structure was in need of paint. The dredge as it appeared in 2007, prior to work starting. The dredge as it appeared in 2007, prior to work starting. The railing around the control cabin was entirely collapsed at this point. The dredge as it appeared in 2007, prior to work starting. By this time, several sections of the guardrail had collapsed. The dredge as it appeared in 2007, prior to work starting. We opted to replace the chainlink fence with a more transparent cable rail system. The dredge as it appeared in 2007, prior to work starting. 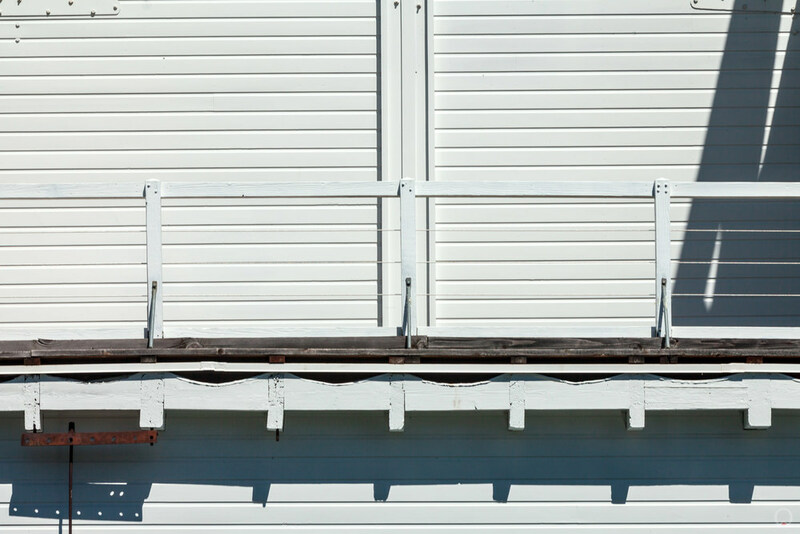 In addition to the collapesed railing, this shot also shows the asphalt roofing and significant structural decay. Newly replaced decking and railings. Decayed structural members were also replaced. 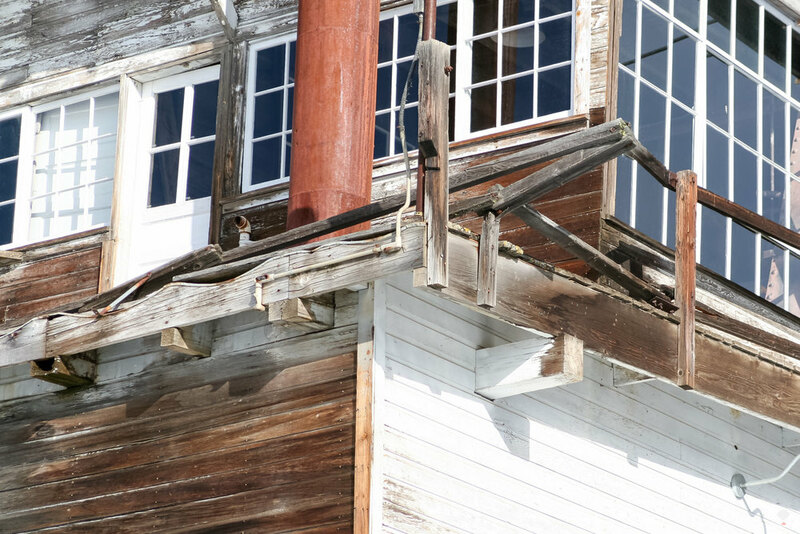 The conservation work involved new roofing, decking, and railings. The interior at the lowest level. Some of the interior machinery. The control room interior with a Christmas tree. A nesting goose defends her eggs from the paparazzi. Located at the base of the granite peaks of the Elkhorn Mountain Range in northeastern Oregon is the small town of Sumpter. 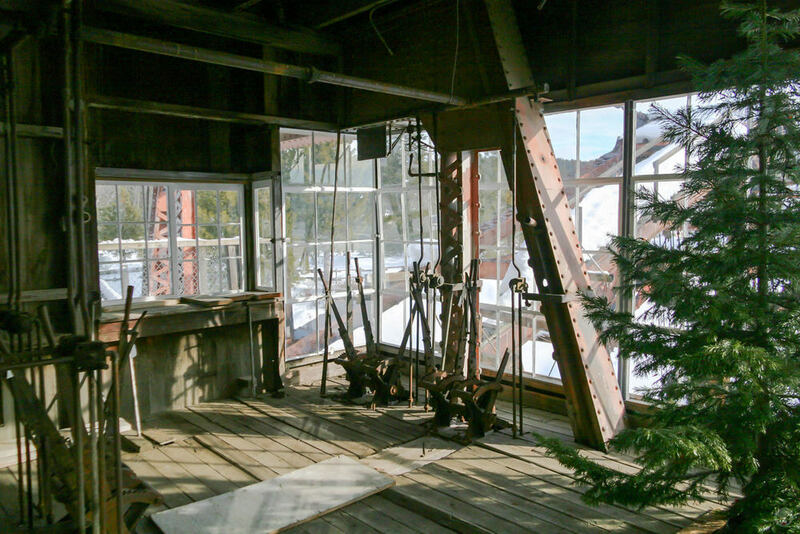 Resting in a small pond at the edge of town is the largest and most accessible abandoned gold dredge in the country. 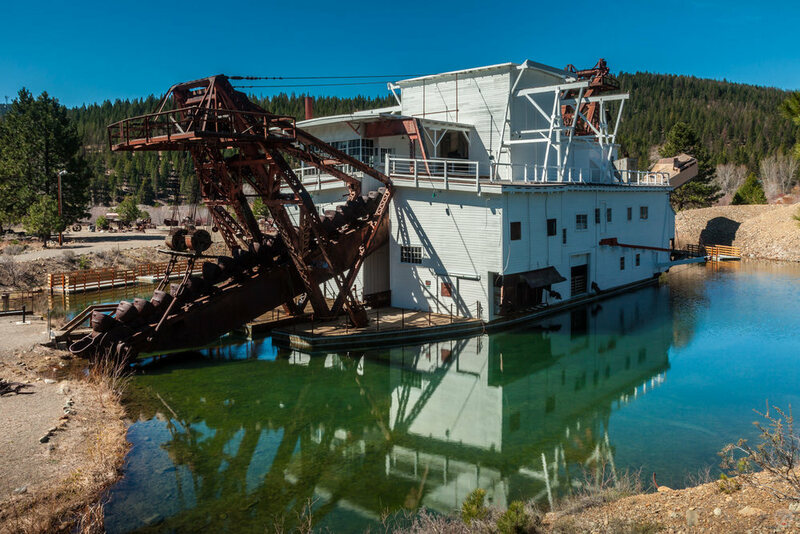 From 1935 until 1954, this dredge worked the Sumpter Valley in a continuously moving pond of its own creation extracting nearly $4.5 million in gold and leaving 1,600 acres of tailings that are still visible along the Powder River. 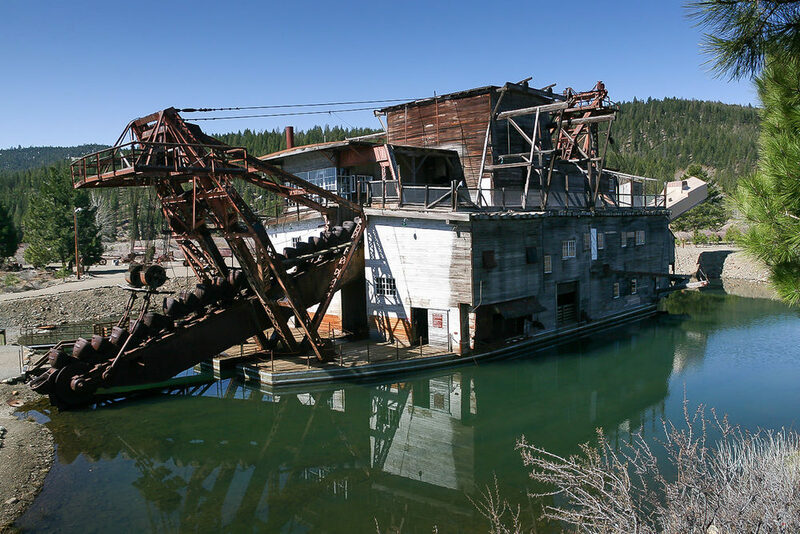 Today the Dredge is the centerpiece of the Sumpter Valley Dredge State Heritage Area and serves as an important link to Oregon's Pioneering past. 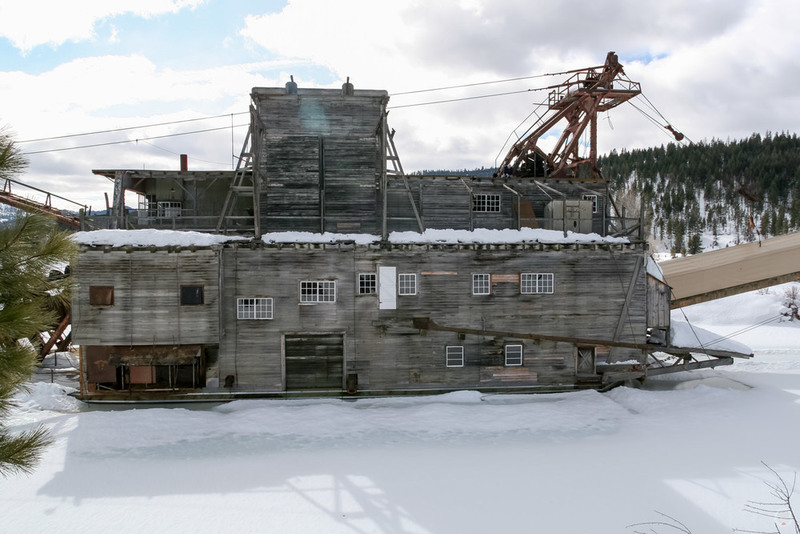 A short video about the Sumpter Valley Dredge by Grant McOmbie can be seen on Grant's Getaways courtesy of Travel Oregon. * The complete replacement of the exterior decking. * The complete replacement of the exterior guardrails. * The complete replacement of the existing rolled asphalt roofing with a new thermoplastic polyolefin (TPO) membrane system. 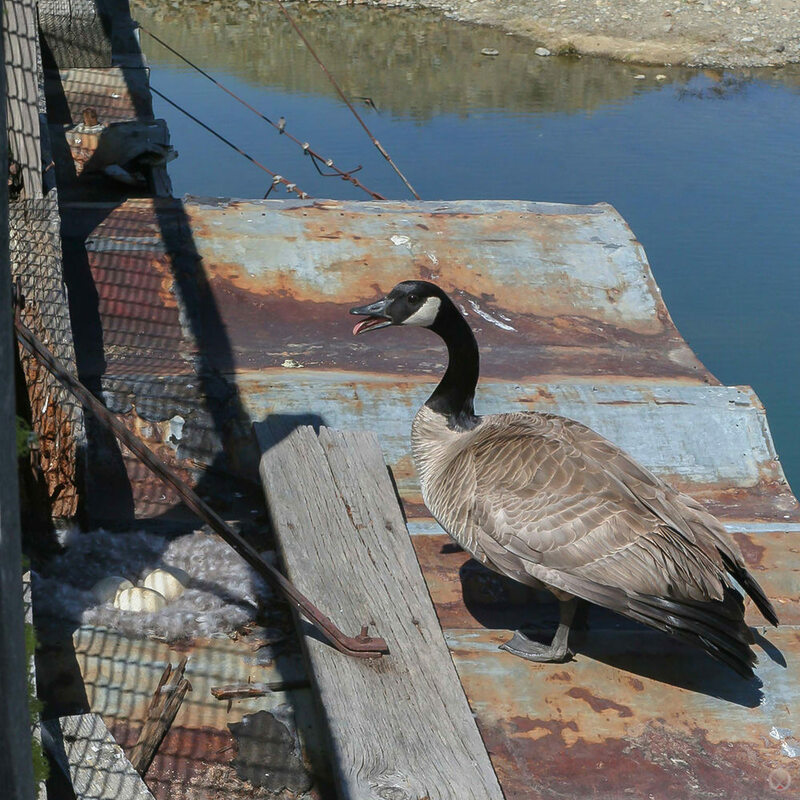 * Environmentally sensitive project management, which limited construction staging and provided for protection of migratory birds which nest on the dredge in the late spring and early summer.